The Waikele Outlet Shopping Shuttle provides savvy shoppers quality transportation to and from Waikele Premium Outlets® from Waikiki. Let us worry about traffic, gas and parking. Shoppers just need to sit back and relax in our plush air conditioned motor coaches that will pick you up at one of the convenient locations throughout Waikiki. 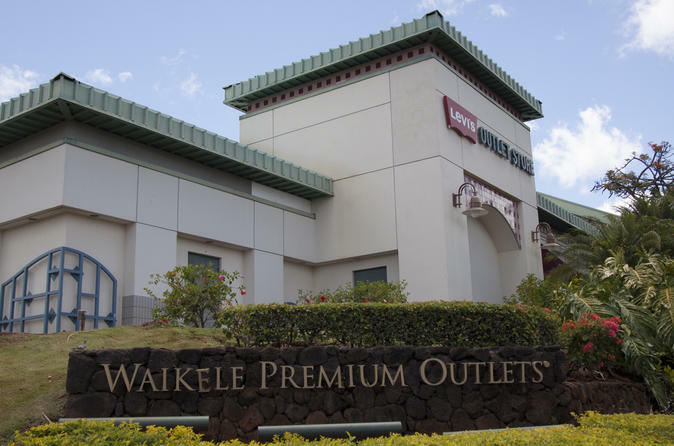 You will be transported to the Waikele Premium Outlets® where savvy shoppers from around the world and our islands can find great savings at Hawaii’s largest outlet center. Returning to Waikiki is even easier with our wonderful drivers picking you and your shopping treasurers up curbside.